Following a long career as a professional writer, editor, and photographer, Christine found her passion in paint. 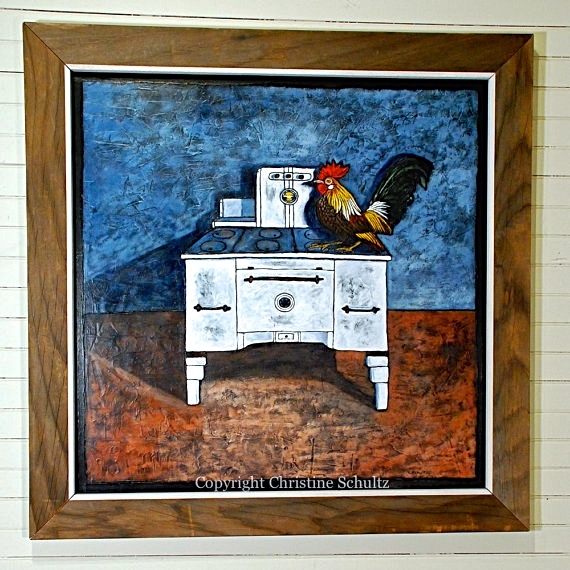 She’s now recognized for her vibrant colors, rich textures, and rustic imagery. 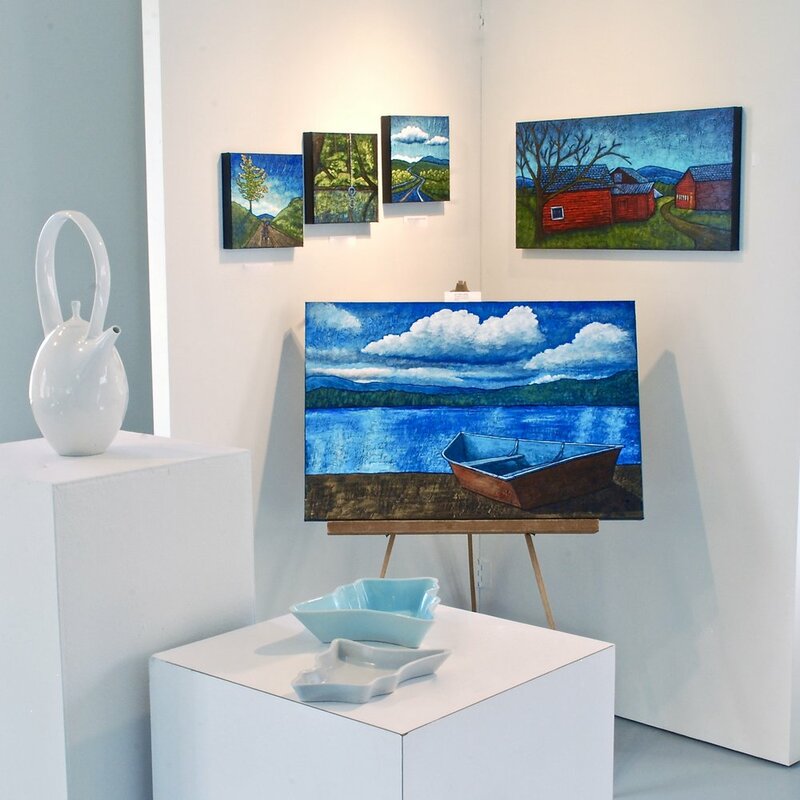 Her paintings have been showcased on the covers of Southern Living, Vermont travel guides, and in other publications. Art lovers in the U.S. and abroad collect her work. 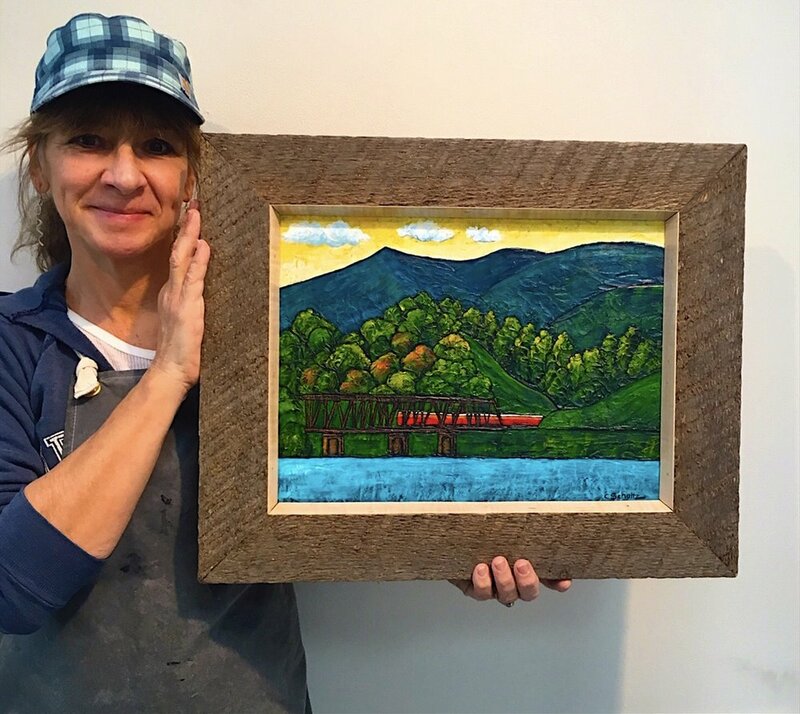 She was the Artist-in-Residence at Green Mountain College and director of the Feick Arts Center in Poultney, Vermont, for over two years and the owner of Taylor Arts Gallery for over 20. 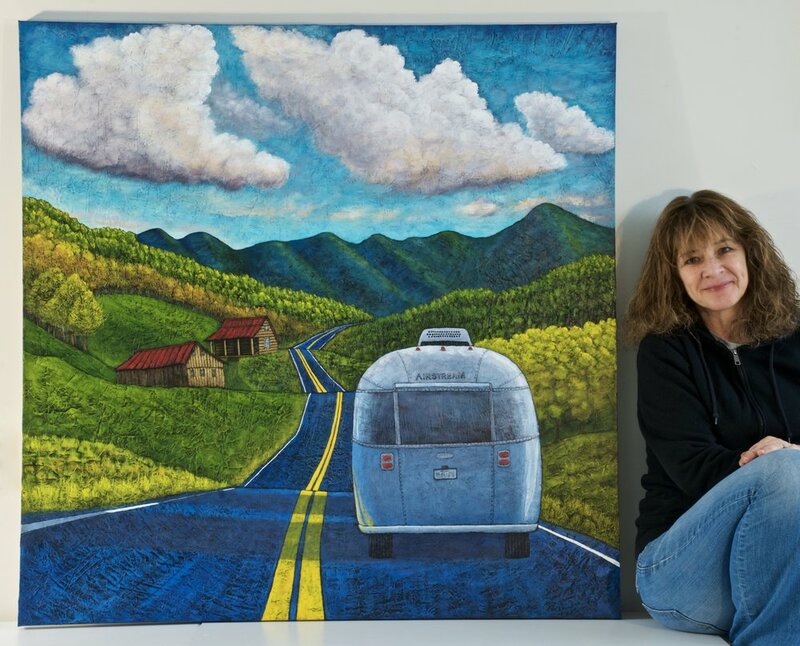 She now paints full-time in her studio van traveling around Vermont when it’s warm and further South when it’s not. Her paintings are often inspired from her outdoor adventures. After sketching her composition, she details her textures on canvas with a palette knife, then undercoats the painting in dark tones, and layers on professional Golden paint acrylics. She's also nationally known for her colorful fish painted on reclaimed wood hand-cut by Marc. When she's not painting one-of-a-kind pieces, she enjoys making silver and leather jewelry. She's happy to do commissions. If you've got something in mind email info@taylorarts.com or call 662-234-7958. To see what's available click here: Shop.